Bank Rakyat was established on 28 September 1954 under the Cooperative Ordinance 1948 (known as the Cooperative Societies Act 1993). Today, Bank Rakyat is the biggest Islamic cooperative bank in Malaysia with assets totaling RM89.18 billion as at end of December 2014. The transformation in 2002 of the Bank from a conventional banking system to a banking system based on Syariah has enabled the Bank to record encouraging profits year after year. For the financial year ending 31 December 2015, we have recorded a pre-tax and pre-zakat profit of RM2.01 billion. We continue to expand our product range and customer facilities that are varied and innovative. The products and facilities include consumer banking, commercial financing, savings and investments as well as products of financial planning to satisfy the many demands of a wide spectrum of modern day customers. 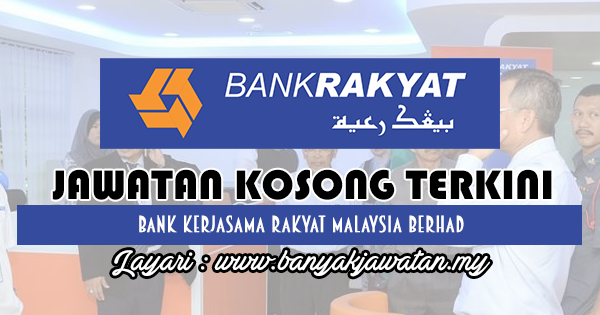 0 Response to "Jawatan Kosong di Bank Kerjasama Rakyat Malaysia Berhad - 2 Jun 2018"